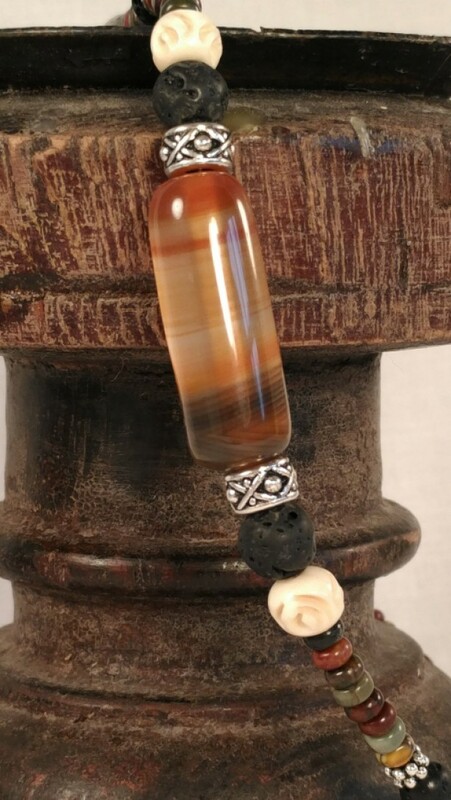 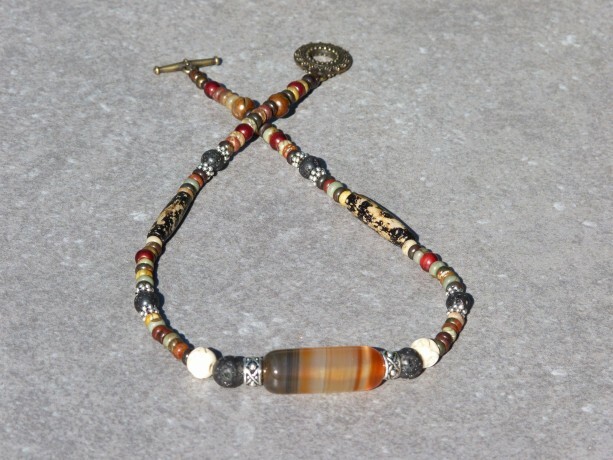 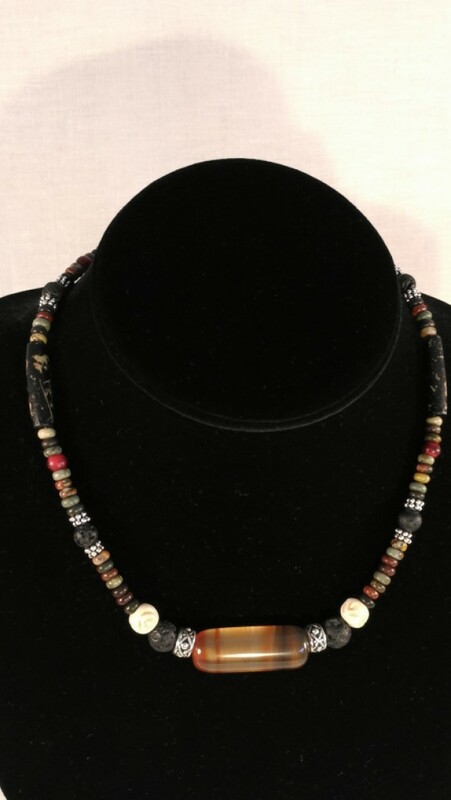 This simple but rich Cherry Creek Jasper with Sardonyx/Carnelian focal stone, Lava rock diffuser choker is accented with silver plated (over high-quality lead & nickel free pewter base) spacers carries through its style ending in a Bali style Antique Brass toggle clasp. 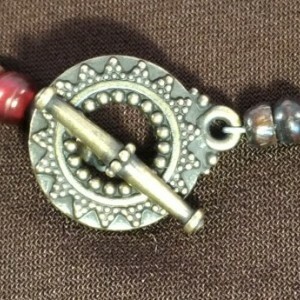 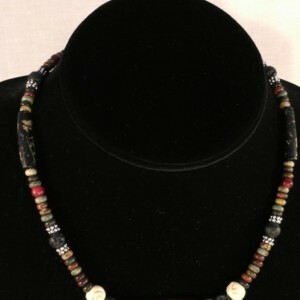 Can be worn by itself or layered with longer necklaces. 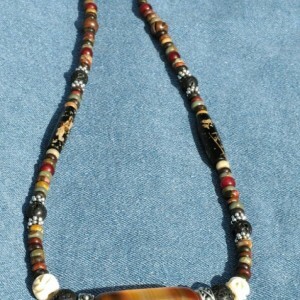 It is accented in small amounts with bone and horn beads. 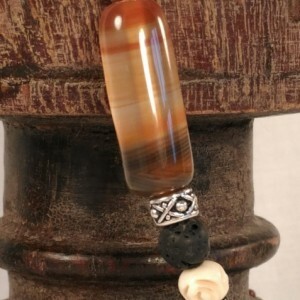 Essential oils will last for days when applied to the Lava stones. 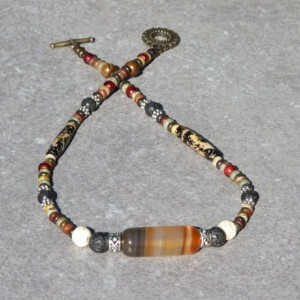 This would make an excellent choice for a gift for someone who loves natural, earth tone colors. 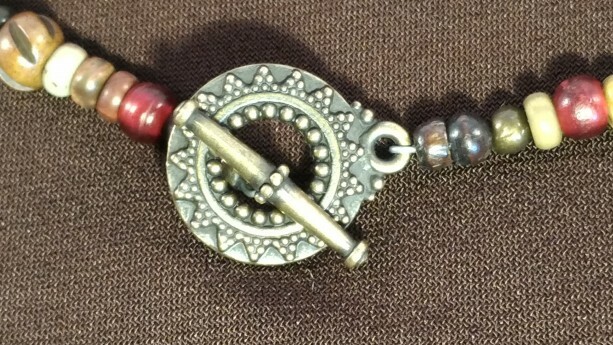 Casual but distinct in arrangement of colors. 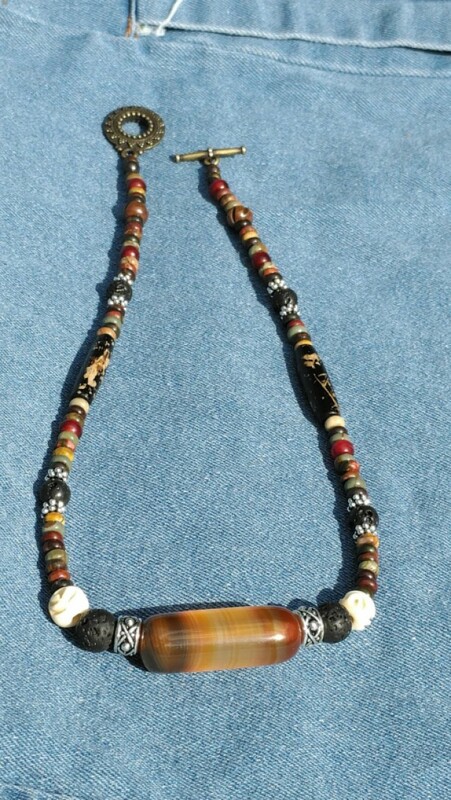 Your new treasure will arrive nicely packaged and ready for gift-giving.